Help Ikao recover his memory through a platform\ adventure game by controlling two characters with a design inspired by Japanese animation, developed for PC by the YukiOstudio. 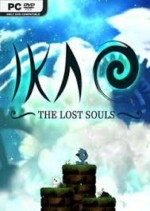 Synopsis : Ikao, a little bluish creature, suddenly finds herself in the abyss of time without any memory. After coming out he has no choice but to travel the world in search of answers to the mystery behind his past.